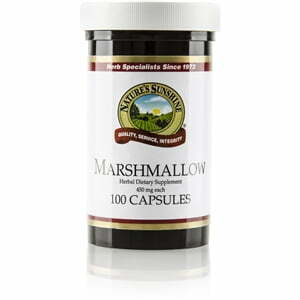 High in mucilage content, marshmallow has a rich history as an aid for the respiratory system. It is known for its ability to alleviate inflamed mucous membranes. Twenty-five percent to 30 percent polysaccharides (mucilage) and 25 percent to 30 percent starch, it is also beneficial for the digestive tract. 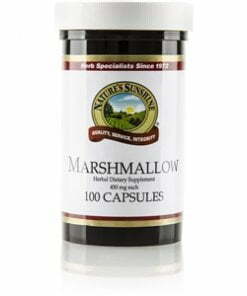 Each Nature’s Sunshine Marshmallow capsule contains 450 mg.